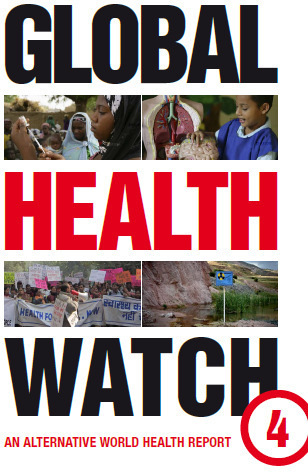 On behalf of the People’s Health Movement and a number of affiliated networks I submit the comments and suggestions included below regarding some of the items appearing on the agenda of the WHO Executive Board. We hope that you may find time to read and consider these comments before the relevant discussions at the EB. We hope that you find them useful. PHM is a global network of organizations working locally, nationally and globally for ‘health for all’. Our basic platform is articulated in the People’s Charter for Health which was adopted at the first People’s Health Assembly in December 2000. More information about PHM can be found at www.phmovement.org. PHM is committed to a stronger WHO, adequately funded, with appropriate powers and playing the leading role in global health governance. PHM follows closely the work of WHO, through the governing bodies and the secretariat. Across our networks we have technical experts and grass roots organizations with close interests in many of the issues coming before you over the next week. However, WHO does not make it easy for civil society NGOs to contribute to its consideration of the issues coming before it. It limits the number of organizations which have a formal relationship with WHO and has recently restricted access to spaces in the Palais de Nations during the WHA. It seems that WHO is more welcoming of private sector organizations than people’s organizations. A different model of consultation was evident during the work of the Commission on Social Determinants and Health. Over the last week members of the PHM WHO liaison group have been working through the EB Agenda with the assistance of high level experts from a number of collaborating networks and NGOs. This workshop was part of our Global Health Governance Initiative which involves both watching and advocacy. In the course of these discussions we have prepared the following comments on some of the key issues coming before you. 4.1 Pandemic influenza preparedness: sharing of influenza viruses and access to vaccines and other benefits. The Open-Ended Working Group of Member States on Pandemic Influenza Preparedness: sharing of influenza viruses and access to vaccines and other benefits will meet in December 2010. A report on this meeting and other technical consultations undertaken to support the Group’s work will be made to the Sixty-fourth World Health Assembly, through the Executive Board, as decided in resolution WHA63.1. The provisions of the Convention on Biological Diversity provide for benefit sharing where biological samples such as viral material are transferred internationally. Resolution WHA60/28 provides a clear direction for managing this issue. The H5N1 and H1N1 crises have shown the need for a equitable and transparent mechanism for pandemic preparedness that puts public health as a top priority over industry’s profits. A viable and sustainable system for pandemic preparedness must include sustainable forms of benefit sharing; ad hoc donations are unreliable solutions. This means that recipients of influenza biological materials must commit to benefit sharing on a mandatory basis. This is important to achieve public health objectives as well as to ensure compliance with international obligations under the Convention of Biological Diversity (CBD) to which almost all WHO member states (except for the US) are a party to. The CBD requires that those that receive and use genetic resources must share benefit arising from the use of those resources. A Standard Material Transfer Agreement (SMTA), constructed as a formal contractual agreement between the provider of biological resource and the recipient of such resource, is a practical way of achieving concrete benefit sharing. MTAs have been used in the sharing of influenza biological material previously and there are no reasons why standardised MTAs should not now be mandated for use in the transfer of influenza biological materials. SMTA must have a contractual binding effect, and contain terms and conditions on the use of influenza biological material as well as benefit sharing to be an effective solution. Claims of private intellectual property rights over the influenza biological resources or over the products/processes developed using such material should not be allowed by WHO linked centres or by third parties. If third parties are allowed to claim IPRs over the products/processes developed using such material then royalty free licenses must be made available to developing countries. The definition of PIP biological material in the Framework must include parts of the biological material in particular their genetic and other components and parts thereof, including genes (RNA and DNA), genes sequences and polynucleotides as well as the polypeptides they encode. It further includes sequence data. The Director-General will propose a composition of the Consultative Expert Working Group to the Board for approval, drawing on the roster of experts whose details, following consultation with Regional Committees, have been submitted to the Director-General through the respective Regional Directors, and taking into account regional representation according to the composition of the Executive Board, gender balance and diversity of expertise, and the Regional Committees’ recommendations. The Director-General proposes to recommend the composition of the Consultative Expert Working Group on Research and Development: Financing and Coordination to the Board for approval. The issues on which the CEWG will provide advice are of critical importance in terms of finding workable mechanisms for mobilizing funds for research and development in relation to pharmaceuticals and other medical products. The use of the patent system to raise (some of the) money for research and development has failed the tests of access and equity and appears to be failing with respect to innovation also. However, large pharmaceutical corporations are reluctant to consider such a significant change in their way of doing business and have opposed moving away from this model. The credibility of WHO will not be enhanced if non-transparent mechanisms for assembling the CEWG leave scope for concluding that conflict of interest conventions were not followed in evaluating the options before this group. In particular we are concerned to note that an employee of a large pharmaceutical corporation is recommended. It was our understanding that WHO’s conflict of interest policy would preclude such involvement in a norm setting forum, which clearly this is. We recommend that the appointment of Mr Paul Linus Herrling be disallowed on this basis. We note that Resolution 62.28 4(c) requires the DG “to establish a roster of experts comprising all the nominations submitted by the regional directors”. We argue that all of the names of the experts on this roster should be provided to the EB, not just the proposed members of the Group. We note the lack of career detail provided regarding the proposed members. We believe that a brief CV should have been provided with each name so that the nature of the expertise that the proposed members bring to the Group might be clear to the EB. We recommend that EB approval of this list be deferred pending the provision and consideration of these additional data. The report includes information on the progress made in the implementation of resolutions WHA63.15 and WHA63.24, the latter of which expanded the coverage of the annual report on the monitoring of the achievement of the health-related Millennium Development Goals to include an account of progress towards achievement of 4 Millennium Development Goal 4 to reduce child mortality: prevention and treatment of pneumonia. At the request of a Member State, the report also presents an overview of WHO’s engagement in the high-level plenary meeting on the review of the Millennium Development Goals and the follow-up activities, describing the key health outcomes, implications for WHO and for countries, and required actions to achieve the Goals in the next five years. In Document EB128/7 the Secretariat reports on progress towards achievement of health related Millennium Development Goals and particularly Goal 4 (to reduce child mortality - through the prevention and treatment of pneumonia). This report is focused largely on the technical interventions which will form part of any health development program but is very thin with respect to the political and economic context in which these interventions might be mounted. Despite the mention of the Commission on Social Determinants of Health there is little in this report which reflects the focus on equity and adressing upstream determinants which were elaborated by the CSDH. There is no reference to the constant pressure to liberalise trade which in many settings has exacerbated hunger and malnutrition. The Secretariat is to be commended for its emphasis on the need for health system strengthening but we suggest that it could articulate more clearly the links between privatization policies forced on many L&MICs and the collapse of health systems; These are issues which are not widely understood. The WHO’s leadership role demands that it takes the lead in researching, analyzing and developing appropriate policies to address these issues. The review will include a summary of current debate on national and global approaches to national health policies, strategies and plans, and the role of such dialogue in the achievement of better health outcomes and the mobilization and alignment of resources behind country priorities. The report will cover the building blocks for health systems including, at the request of a Member State, a review of early progress made in the implementation of the WHO Global Code of Practice on the International Recruitment of Health Personnel. A report (Document EB128/8) is provided by the Secretariat pointing towards strengthening the role of WHO in supporting national work towards health system strengthening. This is an inadequate report. Notwithstanding the promise of the annotation on the EB agenda, there is nothing in this report about the implementation of the WHO Global Code of Practice on the International Recruitment of Health Personnel. Indeed there is nothing about the workforce crisis, no reference to how brain drain in health is to be managed; no reference to the policy question of compensation of L&MICs whose exported professionals are staffing the hospitals and clinics of richer countries. 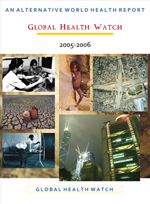 There is no mention in this report of the policies of the World Bank which since 1993 have promoted the horizontal stratification of health systems (private for the rich, social insurance for the middle and minimal safety net packages for the poor), nor is there any explicit analysis of the contribution of the disease specific funding bodies in promoting vertical fragmentation and internal 5 brain drain. There is no mention of IMF restrictions on ‘fiscal space’ in actually applying resources which may be available. The report acknowledges that health care reform is fundamentally a political process but the focus on the rational logic of ‘best practice’ does not offer any guidance with respect to the politics of health care reform. In particular there is no mention of the advocacy, accountability and participatory role of civil society in driving health system reform. Resolution WHA61.15 requests the Director-General to report on progress made towards achievement of global immunization goals. The report describes the implementation of the Global Immunization Vision and Strategy 2006-2015 and gives an outline of efforts made by WHO, UNICEF, the Bill & Melinda Gates Foundation and other stakeholders to launch a 2011–2020 Decade of Vaccines and Immunization. The Board is invited to consider endorsement of the new initiative’s process and scope. A ‘one-size-fits-all’ approach in the introduction of new vaccines should be avoided. National priorities are not everywhere the same. The introduction of new vaccines should be subject to detailed needs assessment studies, cost-benefit analyses and public health impact assessments which recognize the specific circumstances of each member state. WHO should assist member states in undertaking such studies where appropriate. An urgent focus is required on adequately strengthening the vaccine delivery system without disrupting existing health services. It is recognized that effective and efficient vaccine delivery requires and should be mediated through well functioning health systems. It is less widely recognized that a pre-occupation with immunisation delivery can disrupt health care delivery with serious negative consequences. Sustainability is a key criterion in the financing of immunization programs. While Global Alliance on Vaccines and Immunizations (GAVI) may subsidize the cost of new vaccines for a few years, the capacity of member states to carry those costs in the longer term once the new vaccines have become part of their routine national health strategy needs to be considered. The projected costs of a full course of vaccination (para 25) underlines the importance of affordability. Member states should be given technical assistance with respect to using the flexibilities provided under the Trade Related aspects of Intellectual Property Rights (TRIPS) Agreement to ensure affordability of vaccines. The strategy should prioritise the provision of technical support and technology transfer to strengthen the capacity of member states to produce vaccines domestically. We recommend a focus on building research and manufacturing capacity in the public sector so governments are not over-reliant on the private vaccine industry and biotech industry. The strategy mentions monitoring and surveillance of immunization but should also include reference to the monitoring of adverse events in the use of vaccines. Likewise the strategy should 6 include the promotion of safe injection, proper storage of vaccines and ensuring appropriate compensation mechanisms for adverse events. Following the request to the Director-General in resolution WHA63.19 to submit a WHO HIV/AIDS strategy for 2011–2015, a broad consultation process has informed a draft global health sector strategy for HIV/AIDS structured around four main goals: improving HIV outcomes; improving broader health outcomes; strengthening health systems; and creating supportive environments. The Board is invited to consider the draft strategy. The progress report (EB128/10) does not discuss barriers to the implementation of the “Three Ones” principle (one agreed HIV/AIDS action framework, one national AIDS coordinating authority, and one agreed country-level monitoring and evaluation system) as provided for in WHA59.12 which urges for the identification of barriers and strengthening of institutional capacity. The Draft HIV/AIDS strategy should inform AIDS coordination and vice versa, with clear links established between the two. The two items should not be discussed in isolation from one another. Intellectual property rights, and the resulting unaffordability of diagnosis and treatment, should be acknowledged as a barrier to reaching the ultimate objective of implementing the Three Ones principles. The Draft HIV/AIDS Strategy mentions it, so it should be reflected here as well so that coordination efforts could be directed its way (with the UNDP, for example). According to WHA59.12, the DG is requested to prepare a plan of action for the implementation of the recommendations of the Global Task Team, and to provide effective technical support at national level. In the progress report (para. 92), there is mention of a UNAIDS technical support strategy to which the WHO has contributed, and is “elaborating a plan to outline WHO’s role and contributions”. Member States should ask for this plan of action (on WHO’s role and contributions) to be developed and set a deadline for this. Under the revised UNAIDS division of labour, according to the progress report (para 93), the WHO continues to lead the health sector response to HIV. However, the report is not clear as to how the contribution of the WHO in these areas will see improved coordination among multilateral and international bodies, or, better, how such coordination of efforts could strengthen such an exercise. With regard to monitoring and evaluation, it is not clear whether using the term “improving” the performance of Joint UN Teams on AIDS (para. 94 of progress report), entails some monitoring and evaluation mechanism in place (in line with the Task Team recommendations under Accountability and Oversight). Developing the capacity of monitoring and evaluation at national level should also be covered by technical support activities (covered under para. 92), because it is a crucial element for sustainability of HIV response. The close cooperation between WHO and the GF on technical support issues should not be confined to countries who succeed in receiving GF. There are developing countries which are in need of7 technical support, but which often fail the GF “application process”. They should not be deprived of such support. It has been recognised that access to affordable HIV-related medicines is hampered by the failure of countries to use safeguards available in the TRIPS agreement (with reference to the Doha Declaration in a footnote). However, there is no reference to the failure of the para 6 system of the Doha Declaration in helping LDCs with no pharmaceutical manufacturing capacity access medicines (CanadaRwanda case), and of its review process at the TRIPS council. The WHO, as the UN organisation mandated with health matters, should take the lead on this, rather than WTO on its own. There is no mention of TRIPS-plus provisions in bilateral trade agreements through which developing countries give away their TRIPS safeguards. more information about specific ways in which the WHO will contribute. hence big pharma commercial interests, are not to be negotiated. The vertical approach, which is criticised for being unsustainable, should be addressed through strengthening national capacity, namely health regulatory and legislative capacities. Investing in local pharmaceutical manufacturing capacity also provides a sustainable solution away from the vertical approach. outcome of the working group’s meeting held in December will be reported. medicines instead of IP enforcement. including the co-organization of an international ministerial conference on non-communicable diseases and healthy lifestyles in Moscow, as well as other implementation activities. Discussion of this topic by the Board also forms part of the consultative preparations. This report (EB128/17) describes WHO’s preparations for the High Level Meeting on NCDs in September 2011. In the Annex summarizing previous events leading up to this meeting there is no reference to the work of the Commission on Social Determinants and Health. The CSDH emphasized the importance of looking at the equity dimensions as well as the disease process. Clearly there are important equity dimension to the incidence and prevalence of NCDs and these variations are closely linked to the social and environmental factors; not just individual behaviours. treatment of particular disease groups. Having regard to the breadth of issues raised by the equity and the social determinants dimensions of NCDs it would be appropriate to consult with a broad range of NGOs and CSOs whose work is focused on various aspects of equity and social determinants also. The paper presents the outline of a comprehensive implementation plan on infant and young child nutrition and describes the process for developing the plan as a central component of a global, multisectoral nutrition framework, as requested in resolution WHA63.23. The Board discussed the item at its 127th session, including the text of a draft resolution, and agreed to defer further consideration to its 128th session. The report and the draft resolution are re-presented for consideration. There is no reference to the child injuries and death incurred during wars, military conflict, political instability and other forms of violence. WHO should recognize the contribution of these factors to child ill-health, injury and death. main elements of a draft plan of action for the Decade. The Board is invited to consider the draft plan. It is not clear that the reference to a draft plan in the Secretariat note is correct. Document EB128/20 states (para 17) that the Plan has been finalized. The ‘finalised’ plan does not give due weight to appropriate urban planning and the reduction in the number of automobiles on the roads. This is closely linked to the pressures and processes of urbanization which were fully explored in the Report of the Commission on Social Determinants of Health (to which reference is not made in this draft plan). based on an understanding of WHO’s changing role and the nature of its core business. The report will therefore highlight areas of consensus and divergence in relation to priority setting, core business, and WHO’s governance role in global health. The WHO faces a financial crisis and its legitimacy is under attack. This paper (EB128/21) and the process it foreshadows are to be welcomed. 2 and a strong focus on medicines, diagnostics and other health technologies. For this reason, Member States are urged to give serious consideration to the issue of increasing assessed contributions and, where appropriate, revisiting national policies that restrict their growth. conflict of interest between donor priorities and the member state driven agenda of the WHO. The discussion of core functions represents a significant step back from the Core Functions outlined in the WHO Constitution, Article 2. The proposition that WHO should withdraw from its responsibilities regarding health in development should be opposed. This function is mandated in the Constitution and must be properly addressed. because they also provide tied funds to WHO. 1 Medium Term Strategic Plan 2008-2013 and Proposed Programme Budget 2012-2013 (EB128/24). 2 Strategic Objectives 7, 8 and 9: social and economic determinants of health, healthier environment, and nutrition and food safety, respectively. By way of illustration we cite WHO’s work on the rational use of medicines which attracts virtually no funds. In contrast the huge expenditures on pharmaceutical marketing contribute in many ways to the over-use and inappropriate use of medicines. WHO priorities should not be shaped by the availability of funds. PHM is concerned that the ‘mainstreaming’ of ‘cross-cutting issues’ will lead to the neglect of such issues, partly because there will be no internal champions of such issues. be reflected in work across the Organization, rather than relying on separate departments to champion their cause. The neglect of the insights of the Commission on Social Determinants in many of the papers submitted to this EB meeting illustrates this. Likewise the paper on integrating gender analysis and actions into the work of WHO (resolution WHA60.25) focuses entirely on the corporate policies of WHO and does not consider the huge burden of disease globally which is rooted in gender inequality. damage the capability of WHO. In particular, with the financial crisis facing WHO and the prospect of widespread retrenchments we are apprehensive that WHO will increasingly take its technical advice from the private sector or through in-kind ‘donations’ from high income countries. policy. Further we are advised that the widespread use of short term casual staff is in some cases a device to avoid geographical representation. • …for cultural reasons and lack of access to treatment, the case-fatality rate is three times higher in women than in men. • The number of cases is increasing, mostly because of gradually more transmission in cities, displacement of populations, exposure of people who are not immune, deterioration of social and economic conditions in outlying urban areas, malnutrition (with consequent weakening of the immune system), and coinfection with HIV. Leishmaniasis cannot be controlled without addressing these bottlenecks. We suggest that the Expert Committee review these issues and give specific recommendations to address the three key issues highlighted above. We note that the WHO’s Commission on Social Determinants of Health has given many wide ranging recommendations which could adapted for addressing these issues. We request that an updated report be submitted in the upcoming World Health Assembly. 5 In spite of very clear policies being in place, majority of countries have yet to tackle rational use of medicines in their national plans and commit resources as recommended in the resolutions. The WHO database on use of medicines in primary care in developing countries and countries in transition for the period 2004–2009, reveals that only 50% of prescriptions issued in the public sector adhered to clinical guidelines, whereas in the private-for-profit sector during the same period prescription adherence was only 30%. In Resolution WHA60.16 the Director General is urged to strengthen the leadership and evidencebased advocacy role of WHO in promoting rational use of medicines. WHO is also urged to strengthen WHO’s technical support to Member States in their efforts to establish or strengthen, where appropriate, multidisciplinary national bodies for monitoring medicine use, and implementing national programmes for the rational use of medicines. The resolution also recommends the strengthening of the coordination of international financial and technical support for rational use of medicines and to promote research for rational medicine use at all levels of the health sector, both public and private. 5 WHA39.27, WHA41.16, WHA41.17, WHA45.27, WHA45.30, WHA47.13, WHA47.16, WHA43.20, WHA47.12, WHA49.14, WHA52.19, WHA51.9, WHA54.11 and WHA60.16 13 repercussions on public health. For instance- the rational use of antibiotics forms a significant part of the effort to manage antimicrobial resistance. It is not possible to address the rational use of medicines without addressing the pressures for irrational and over use of medicines through pharmaceutical marketing. WHO’s inaction suggests that dependence on assistance from the pharmaceutical industry in certain other areas may have discouraged proper attention to this field. over servicing and the greater difficulty in regulating these distortions. It is apparent that this field has been grossly neglected in terms of both financing and staffing for at least a decade. We suggest that the EB might ask the DG to prepare report on the implementation of WHA60.16 including separately for each item the expenditures, the number of staff are working on the item; and what has been achieved. In closing I reiterate our warm anticipation of perhaps chatting with you during the course of the EB meeting. A number of our members will be attending the EB meeting and would be honoured to chat through some of the above issues with you.